First airing in 2010 on BBC4, this sitcom follows the struggles and triumphs of a rambling club. Christine (played by Ruth Jones) and Bob (Mark Heap), two avid walkers, are locked in a battle for leadership. 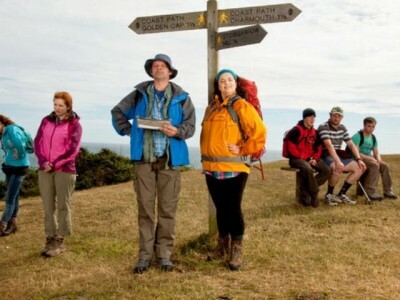 The Great Outdoors also stars Katherine Parkinson, Steve Edge, Stephen Wight, Joe Tracini and Gwyneth Keyworth. As well as co-creating and co-writing the series, Andy Riley appears as ‘Angry Cyclist’ in episode three.